HMD Global is organizing an event in India yesterday. 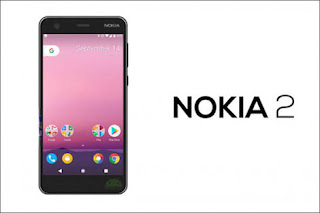 In yesterday's event the company may launch its cheapest smartphone nokia 2 with the Nokia 7, although the company has not yet cleaned up what phones will be launched in an event that occurs on October 31. Earlier HMD Global has launched the Nokia 3, Nokia 5, Nokia 6 and flagship Nokia 8 in India. Now, the company wants to have its penetration in the entry level mobile market with Nokia 2. According to leaks reports, Nokia 2 's price tag may be about Rs 6,500. Nokia will have the bump of the phone from Shaomi and Motorola.